Hi friends! Happy Thursday! 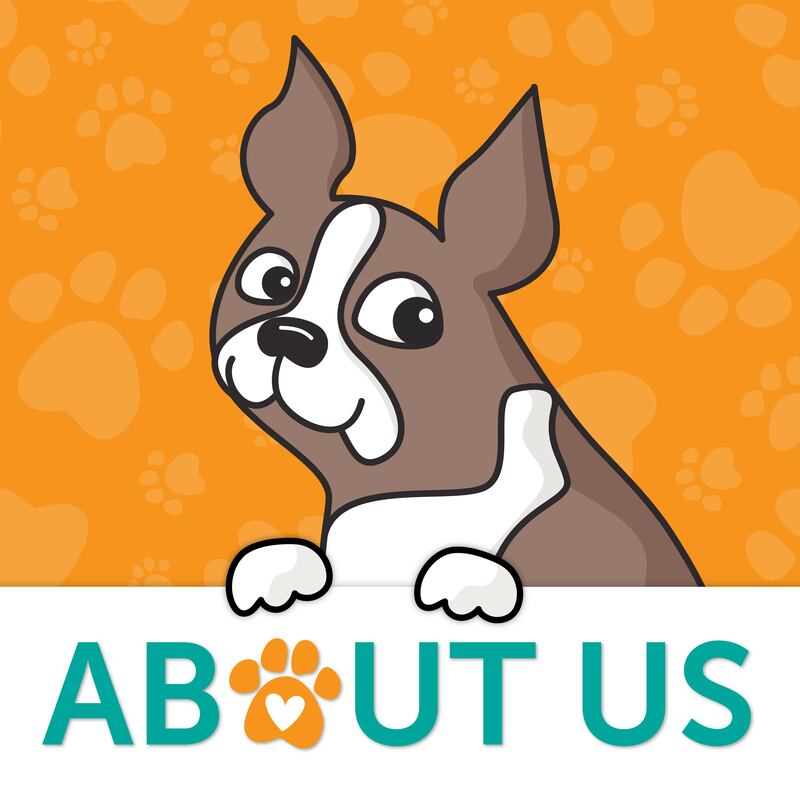 We have a FUN surprise for you today! 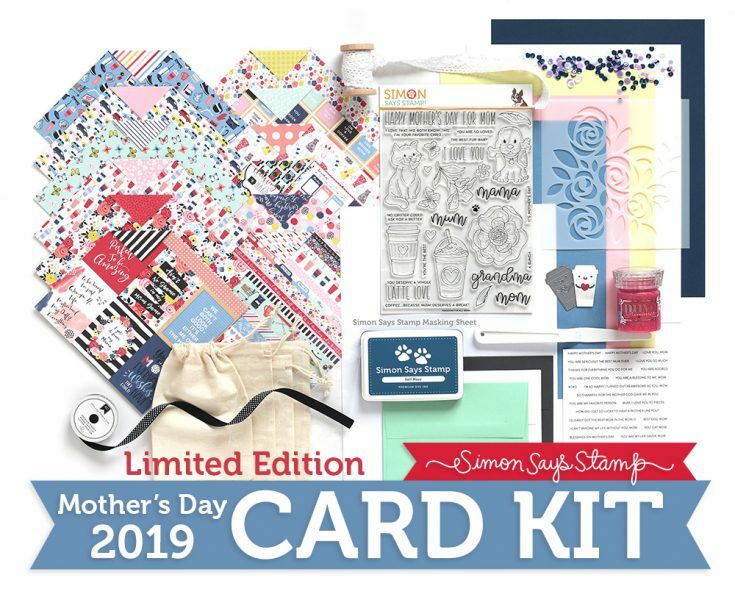 Check out our brand NEW for 2019 For All Moms Mother’s Day Limited Edition card kit! 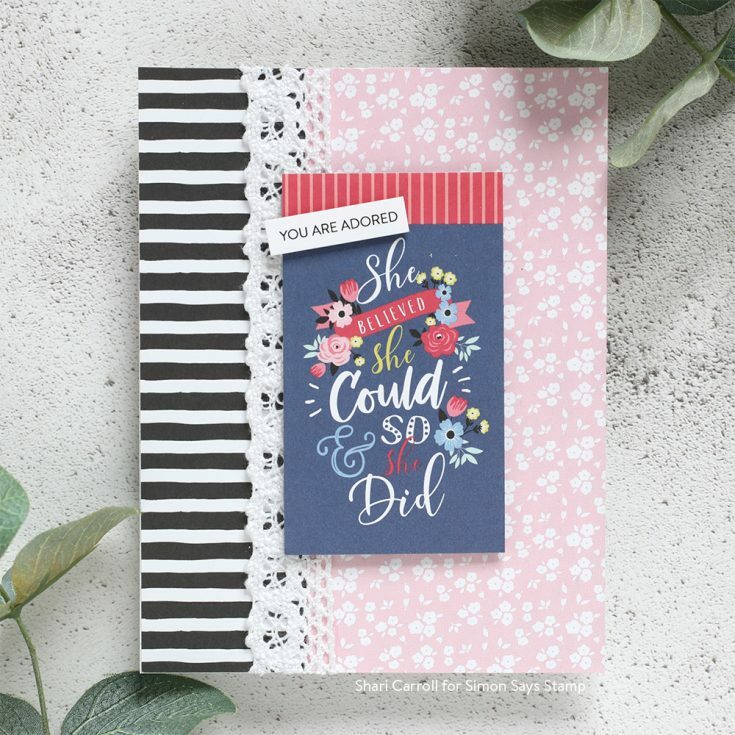 We loved the trendy palette and pretty patterns of the I Am Mom collection from Echo Park so we had to include it in the kit! 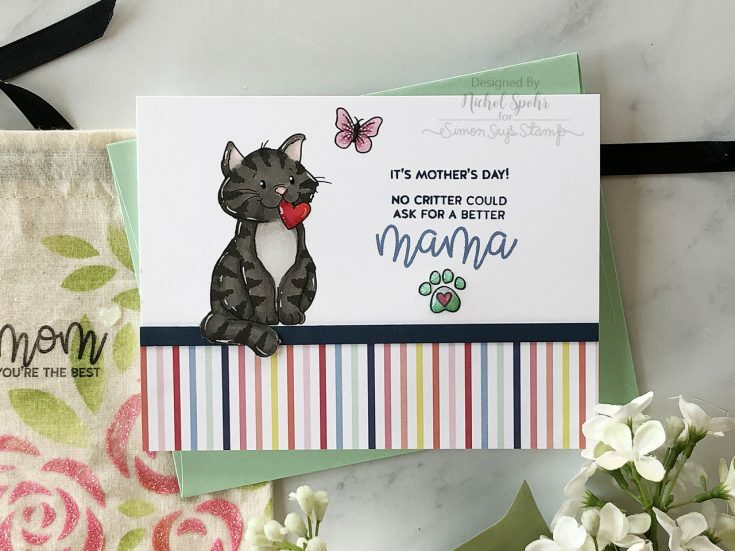 A brand new designed 6×8 stamp set For All Moms includes sentiments of love for Mom, Grandma, Fur Baby Mums, and more! 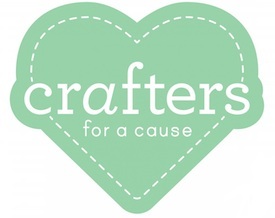 Be sure to watch the intro video by Laura Bassen to get all the up close and personal details of the kits contents! 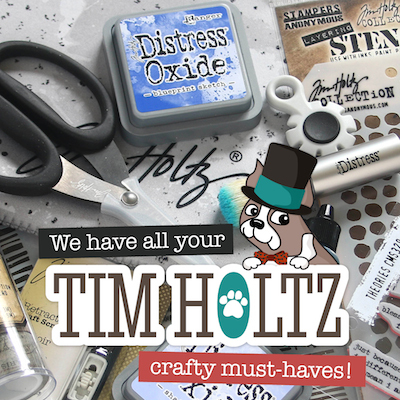 Please note that while many components of this kit are available to purchase separately this kit is loaded with goodies valued at over $80 (much more than the cost of the kit)! This limited edition kit is not part of our monthly subscription and must be purchased separately. If you love it, purchase it quickly! HUGE thanks to Laura Bassen, Shari Carroll, Jessica Frost-Ballas, Nina-Marie Trapani, and Nichol Spohr who provided these BEAUTIFUL cards to inspire you below!! Hello friends! 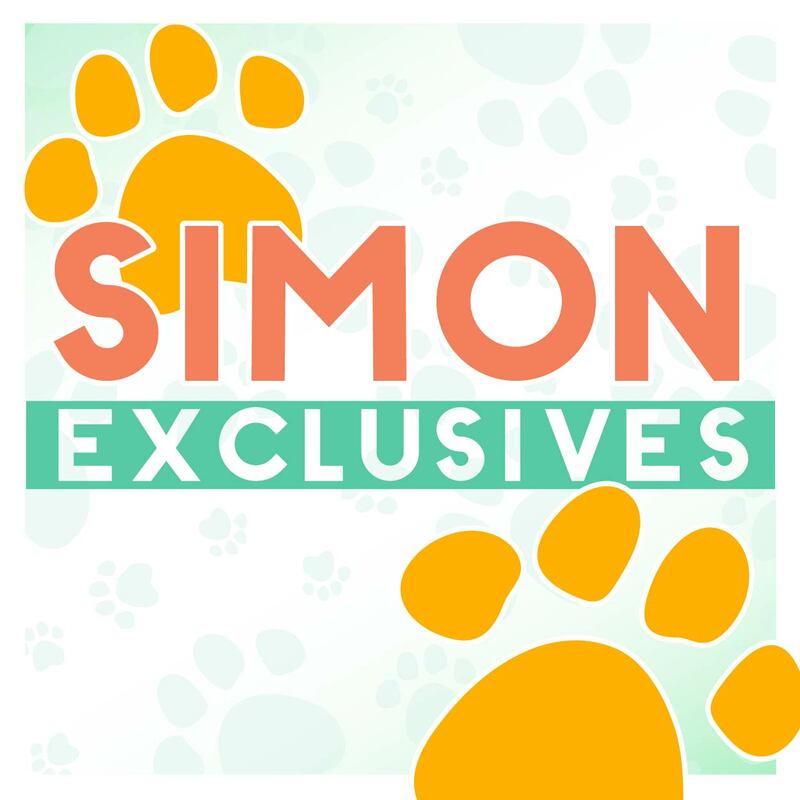 Have you seen our Simon exclusive Blossoms & Butterflies release? 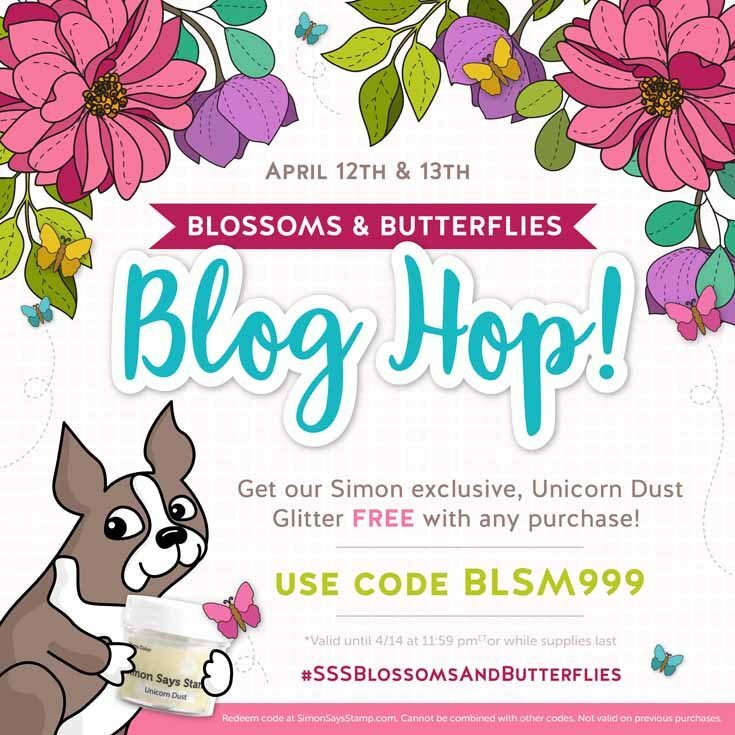 Our Simon Says Stamp exclusive Blossoms & Butterflies product lineup is filled with lots of ways to share handmade kindness! 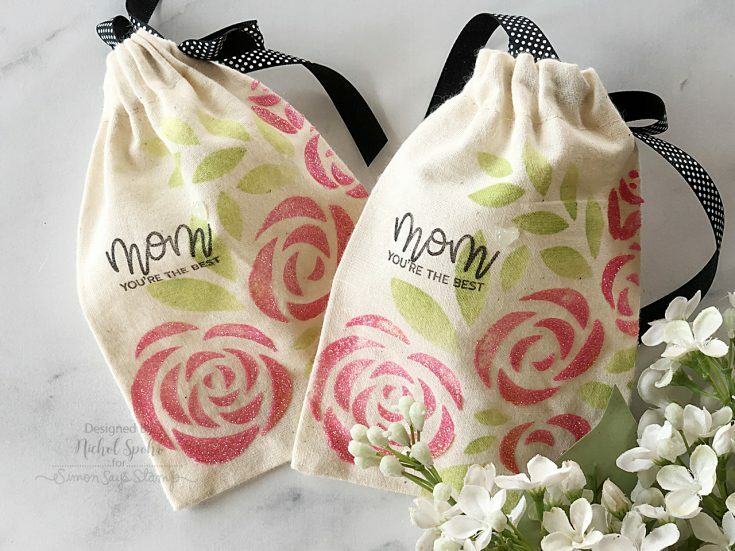 Included you’ll find fresh florals, fluttery butterflies, cute stamps featuring makeup, a gorgeous sympathy stamp set, as well as products to celebrate moms and grads! 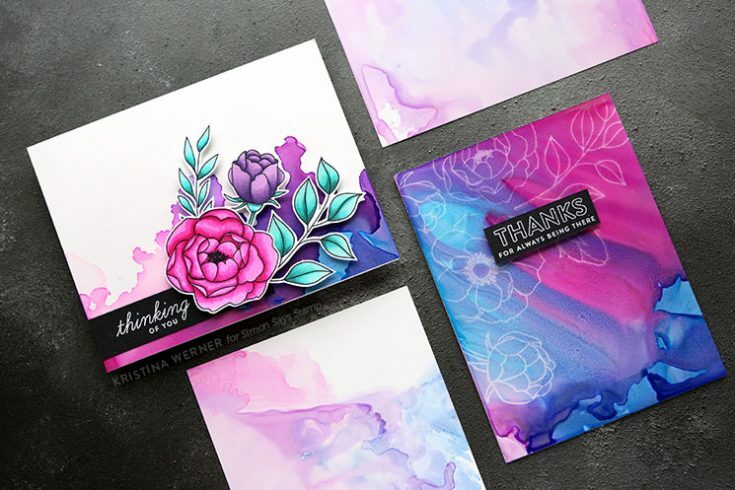 You’ll also find some cool new designs from CZ Design, and there’s a fresh new set of watercolor cards from Suzy Plantamura. 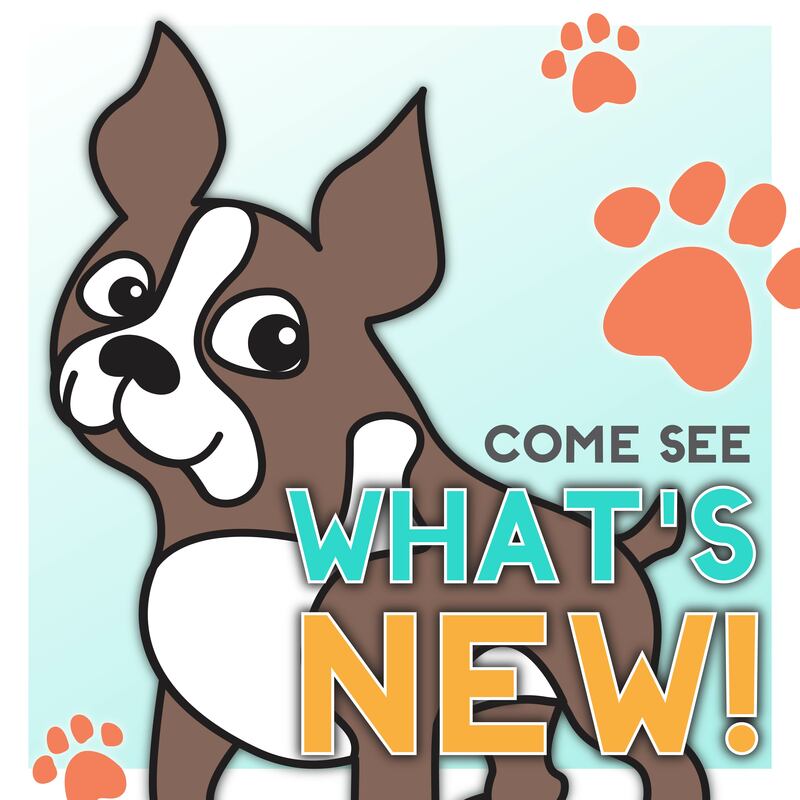 We are so excited for you to play with all of these awesome new products! 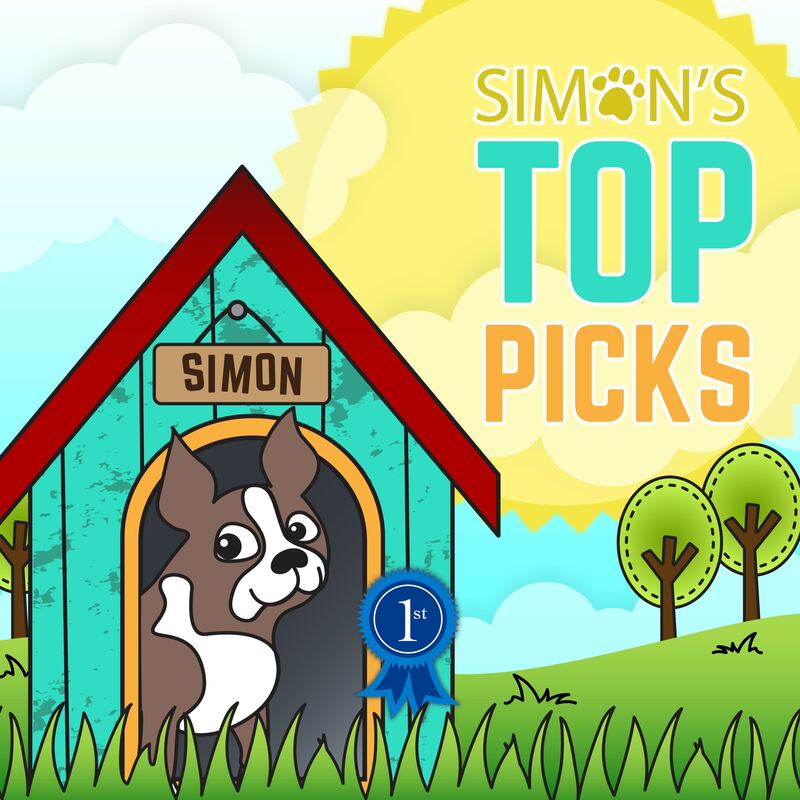 from Simon Says Stamp’s blog: Jenny K! from Jennifer McGuires’s blog: Penny Peck! from Cathy Zielske’s blog: Nandini Karmarkar! from Nina-Marie Trapani’s blog: Wanda Cullen! 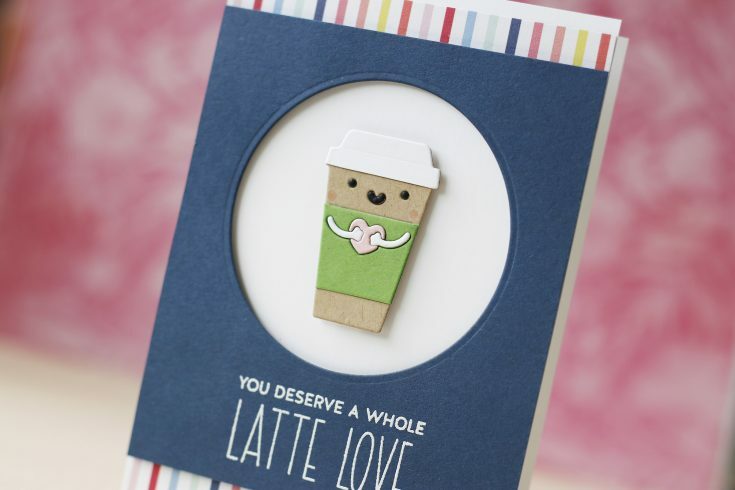 from Nichol Spohr’s blog: Linda BL! from Jessica Frost-Ballas’s blog: Amy Lombardo! from Suzy Plantamura’s blog: DJ Doss! from Lisa Addesa’s blog: Dayna Y Jackson! from Heather Ruwe’s blog: Hamutal Shafrir! from Amy Rysavy’s blog: Louanne Collins! from Heather Hoffman’s blog: Hissonflower! 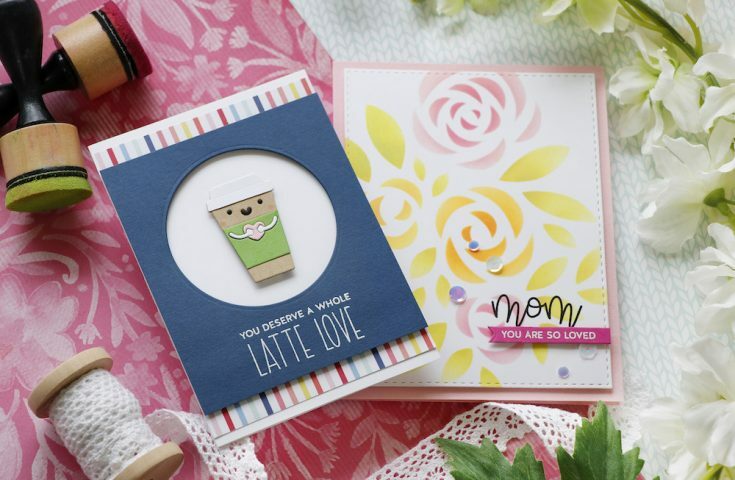 from Lea Lawson’s blog: Papercrafts by Cindyellen! 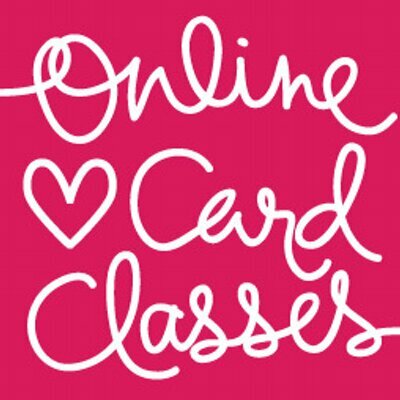 from Simon Says Stamp’s blog: Karen Tarolli! from Debby Hughes’s blog: MandaLJ! from Laura Bassen’s blog: Teresa Mikalouski! 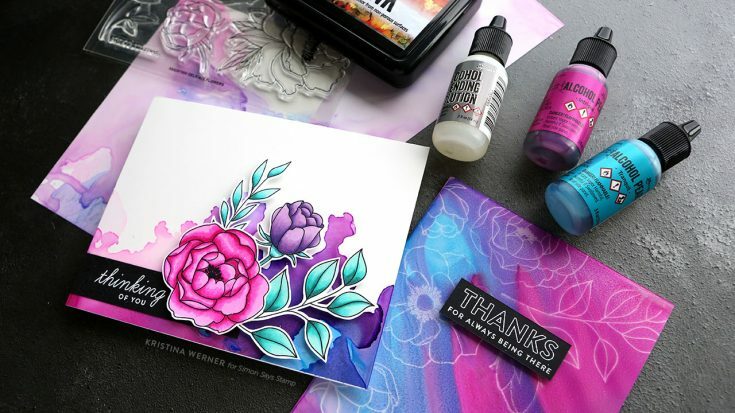 from Amanda Korotkova’s blog: Sarah Biswabic! from Yoonsun Hur’s blog: bonklassgmailcom! from Bibi Cameron’s blog: NWFlamingo! from Barb Engler’s blog: Dayle! from Ankita Gupta’s blog: Patricia Wilson! from Anna-Karin Evaldsson’s blog: Kandice J! from Gayatri Murali’s blog: Liz Ford! Thanks again for hopping along with us! We hope you enjoy our Blossoms & Butterflies release and that it gives you creative enjoyment for months to come! Hello, all! 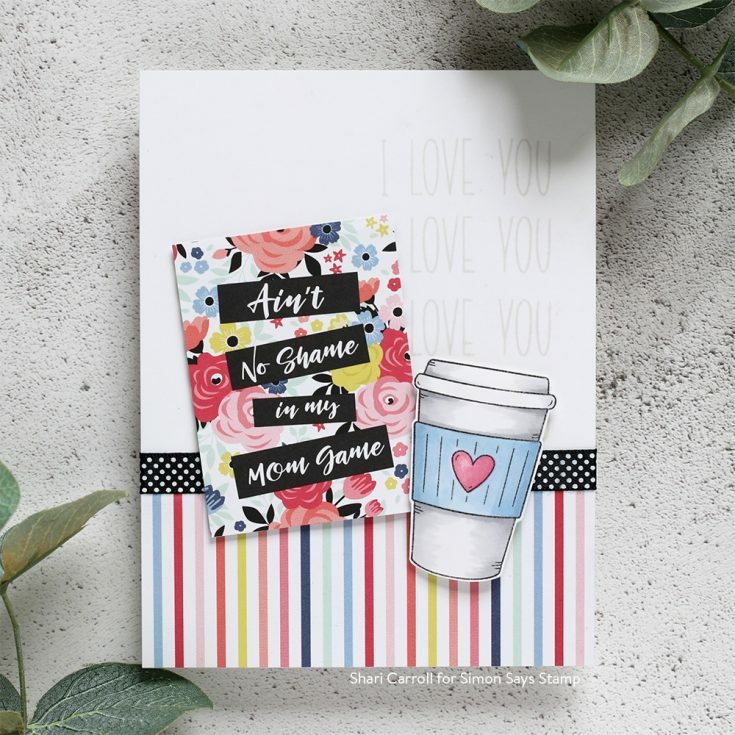 Kristina here with some inspiration from the May 2019 Card Kit! The kit it packed with fun Tim Holtz Alcohol Pearl Inks, so that’s what I decided to play with today. 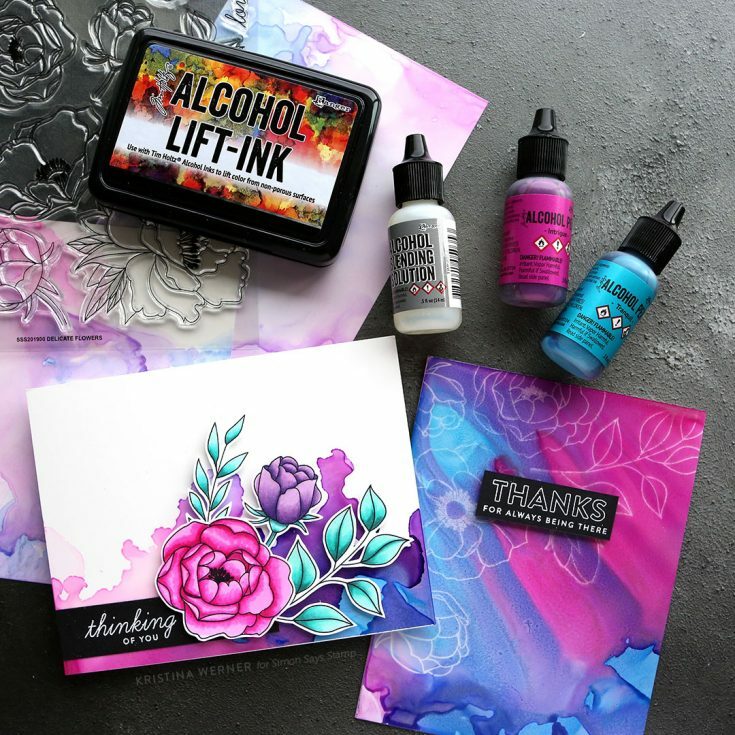 Using the Yupo paper included in the kit, I created backgrounds using the pink and blue inks, plus the Alcohol Blending Solution. These backgrounds were so fun to make! At one point, I smooshed my background onto the surface of my Easy Clean Mat and then picked up the ink on the surface with a second piece of Yupo paper. This applied a more diluted version of the inks and I was able to get paler, more muted colors than the original background. I’ll have to remember this technique in the future when I want softer colors! I but the large sheets of Yupo paper in half and created two cards. 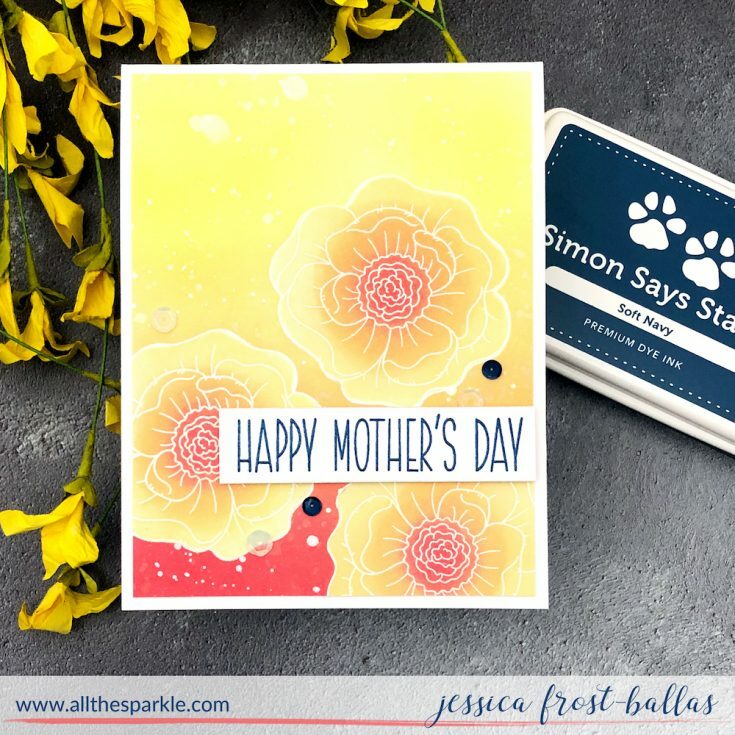 For the first card, I used Alcohol Lift Ink to stamp the floral images from the card kit stamp set, Delicate Flowers (also available for purchase outside of the kit). I stamped them multiple times and wiped away the Lift Ink each time in order to reveal a “ghost like” stamping effect. I finished that card off with a greeting from the stamp set white heat embossed on back card stock. 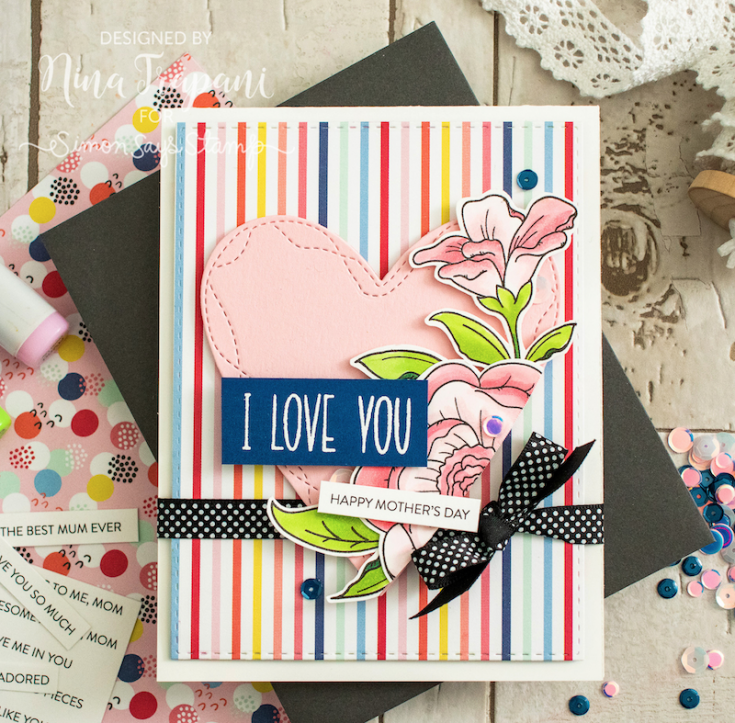 For my second card, I wanted to add the flowers from the Delicate Flowers stamp set, but this time I wanted the flowers popped up off the surface. So I stamped them and colored them with Copic markers. 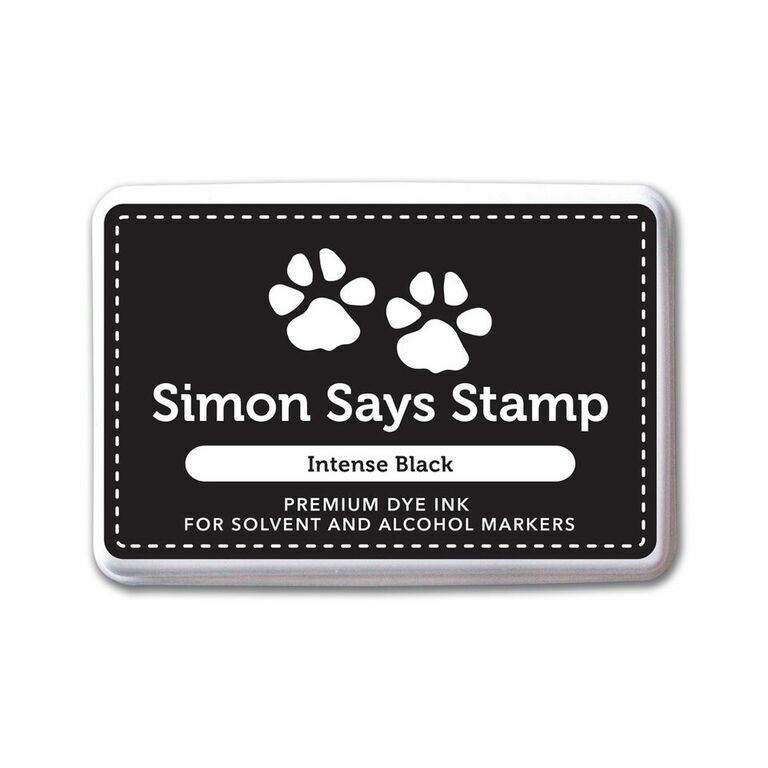 The stamp set doesn’t have coordinating dies currently (if you want them, let Simon know in the comments! ), so I hand cut the flowers out. 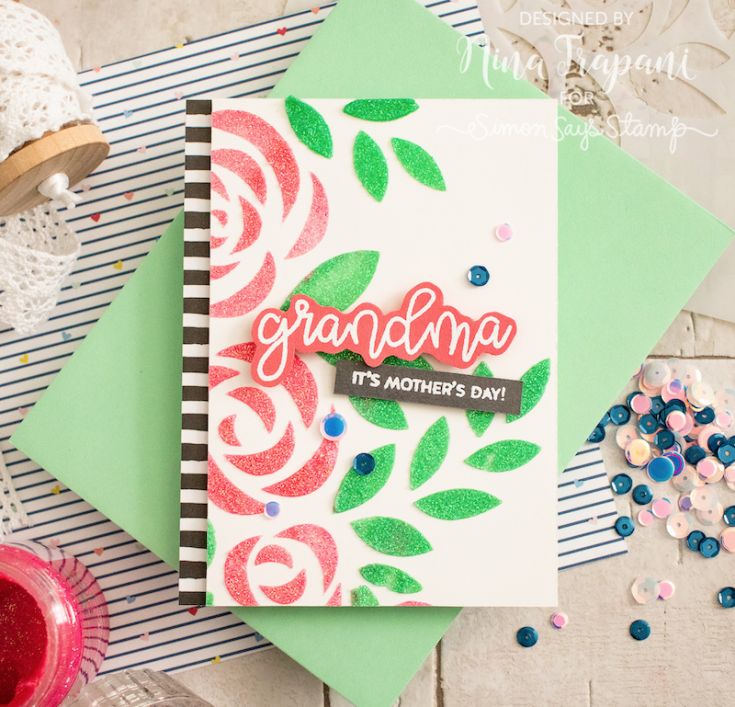 I finished the card by adhering a white heat embossed sentiment to the bottom corner and then used foam tape to adhere the flowers. Thanks for stopping by today! 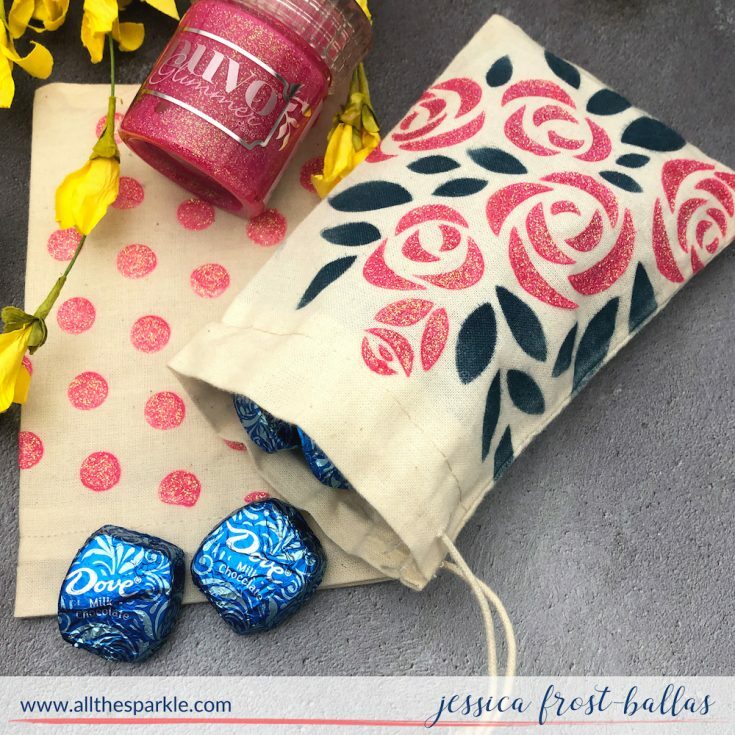 You can pick up the May 2019 Card Kit here, or subscribe to receive this kit and future kits!